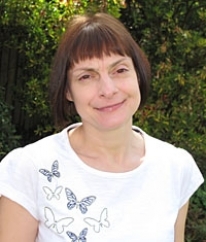 Valerie Hope is senior lecturer in Classical Studies at the Open University with research interests focused on Roman funerals, funerary commemoration and mourning rituals. She has written extensively on: Roman funerary monuments, including those of gladiators and military personnel, the uses and abuses of the corpse, mourning mementos, consolation strategies and the senses in mourning performance. Valerie's publications include: Roman Death: The dying and the dead in Ancient Rome (Bloomsbury 2009); Memory and Mourning: Studies on Roman Death (Oxbow 2011: co-edited with Janet Huskinson) and War as Spectacle. Ancient and Modern Perspectives on the Display of Armed Conflict (Bloomsbury 2015; co-edited with Anastasia Bakogianni). She is currently working on a book centred on the behaviour of, and expectations associated with, Roman mourners.